One of the places I frequent just to have a look at what sweet treats they have to offer is The Patisserie in the post office centre Illovo. Last Wednesday was my birthday and uncharacteristically I hadn’t ordered a cake, so off to the Patisserie I went. 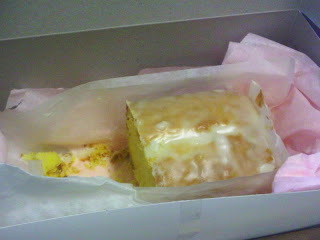 I walked out with a lemon loaf, topped with lemon drizzle/icing. The loaf was a hit in the office, even with those on diet. It’s moist, bright, sharp and tart but also slightly sweet. Seriously, a taste explosion to quote my colleague. For anyone who has a sweet tooth, do yourself a favour and pop into Patisserie. Treat yourself to something new each time because I guarantee you’ll go back for more. I can personally recommend the carrot cake it’s the best in Jozi followed closely by the Tasha’s carrot. The red velvet cupcakes are unrivaled, trust me on this one! The apple cakes, the are mini-ish cakes, and word of advice always buy two. The heart shaped mini chocolate cake is decandent, devilish in fact. Then of course either the lemon or the orange loaf, absolutely lovely. 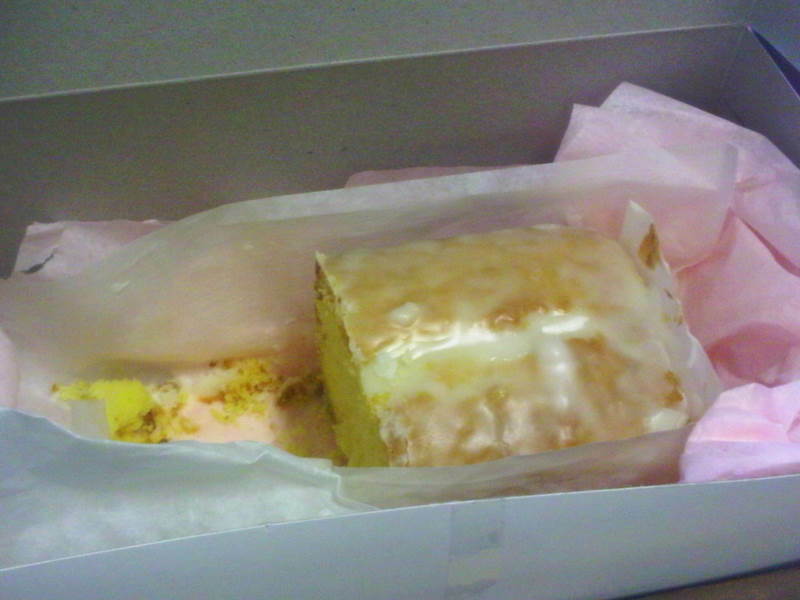 0 Responses to "Quick pick me up from Patisserie – Lemon loaf!"